Sometimes all I want in the world is a plate of vegetables. Generally, as regular readers may have noticed, I’m a bit of a glutton and am constantly stuffing myself with cheese, pastry and baked goods. But even I have my limits, and there are times when my body is just crying out for purely healthy food. It’s most noticeable after a long haul flight, when I feel like disease is setting in from lack of fresh food, fresh air, fresh water. But it happens on normal days too, and here is the perfect dish for such occasions. It’s also a reminder that meat-free dishes needn’t always be full of the imitation meat that is so popular in Hong Kong – even simply sliced and cooked vegetables like these are completely delicious and satisfying. 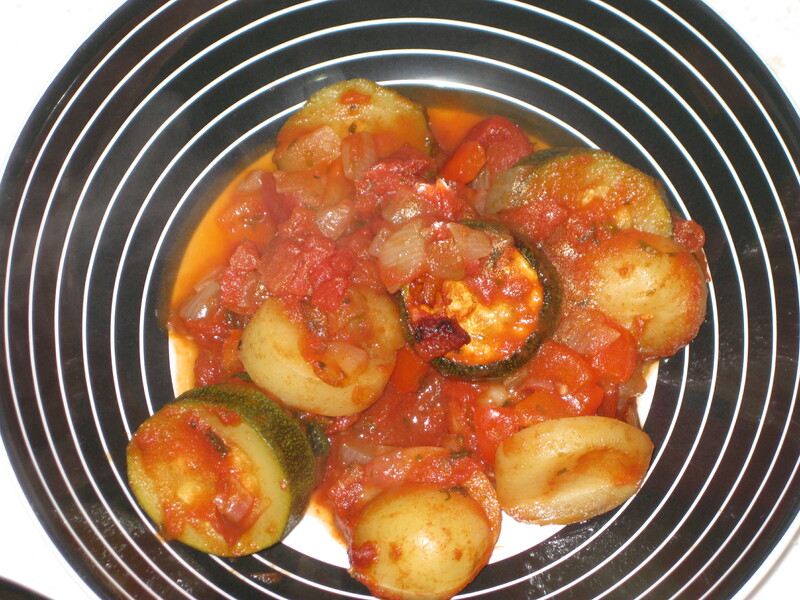 The tender potato and squidgy-centered courgette are lovely together, and the tomato sauce contains a wonderful hint of cinnamon alongside the herbs – it’s very tasty, in all its simplicity. 1. Preheat oven to 180C. 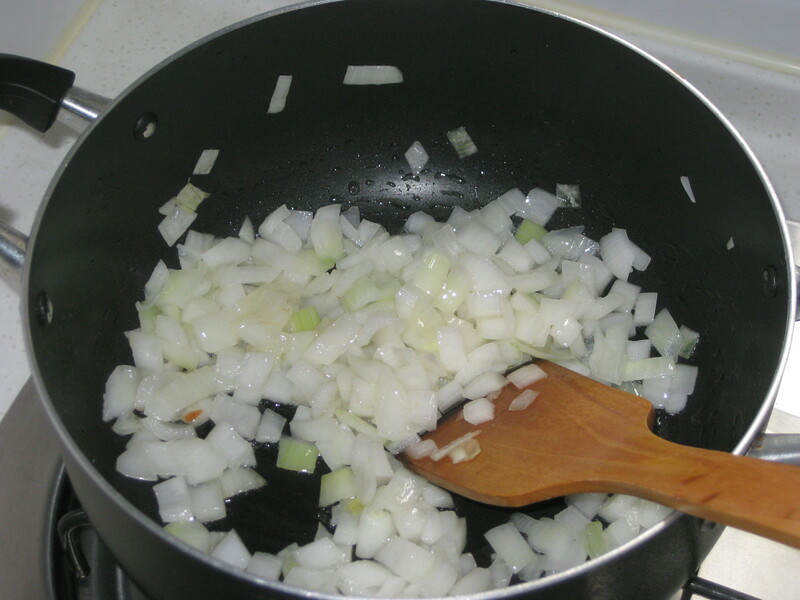 Heat the oil in a large pan and fry the onion for about 8 minutes. 2. 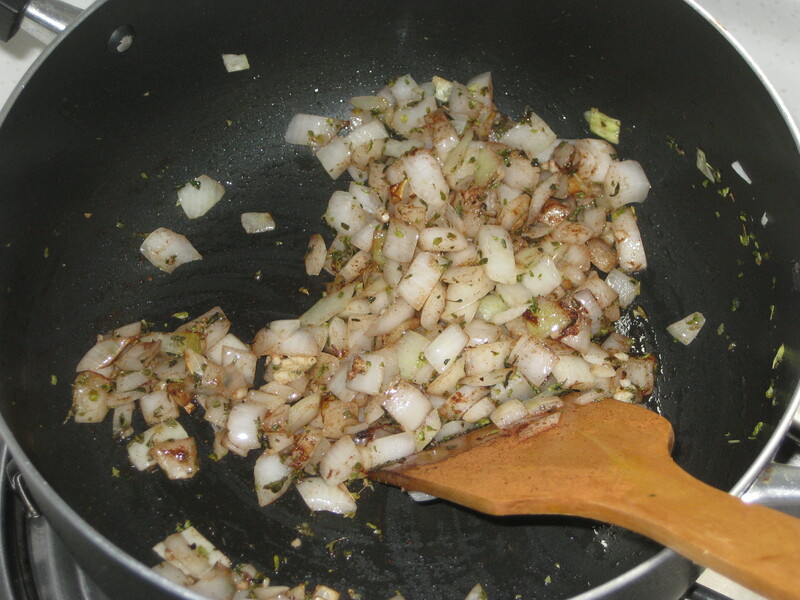 Add the garlic, cinnamon and herbs and fry for 2 minutes more. 3. 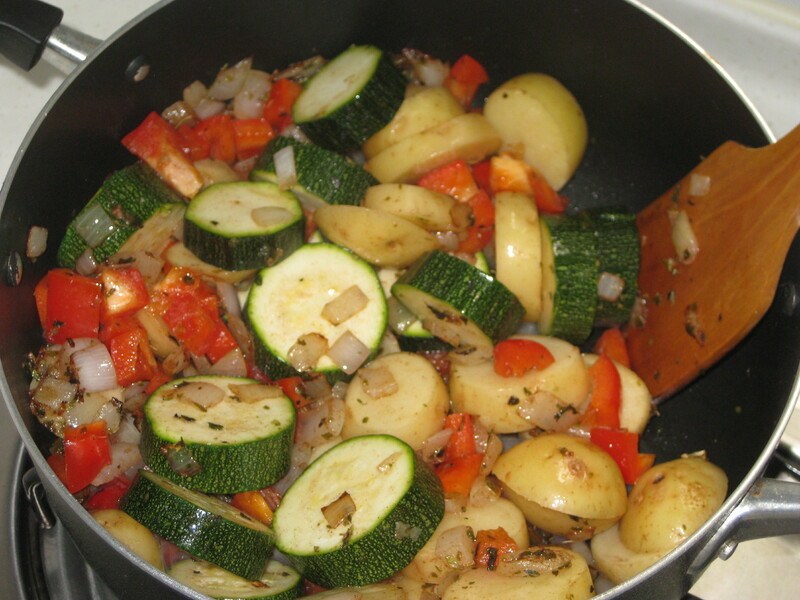 Add the potatoes, pepper and courgettes and stir well to combine everything. 4. 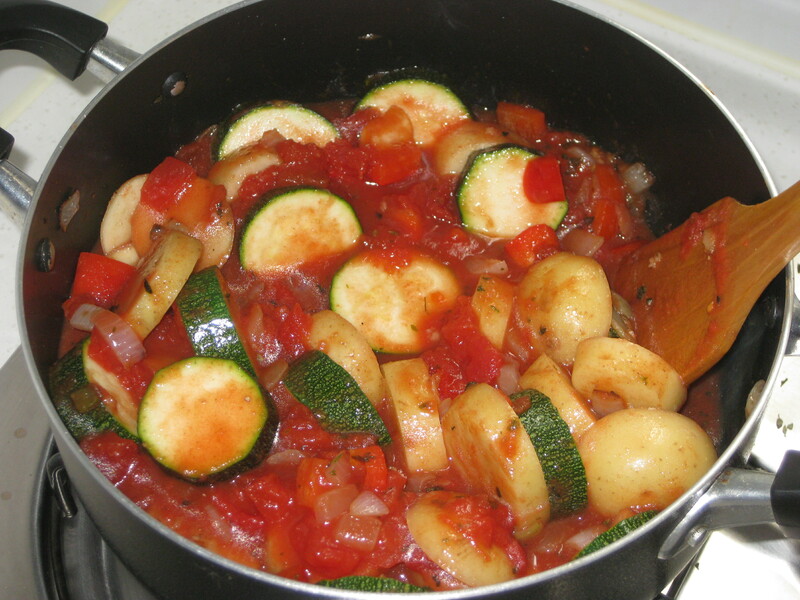 Pour in the tomatoes and simmer for about 5 minutes. Season generously. 5. 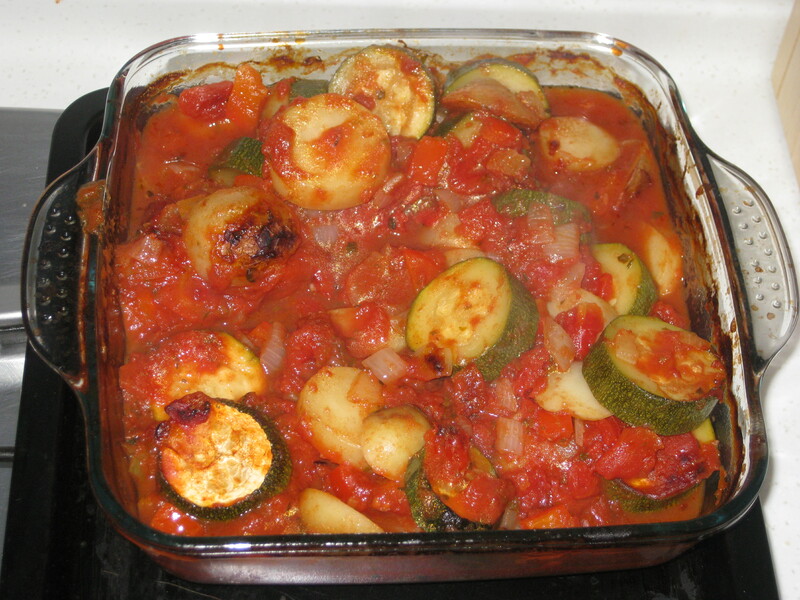 Transfer to a large ovenproof dish and bake for 75-90 minutes until the vegetables are tender. Serve with some good hearty bread. 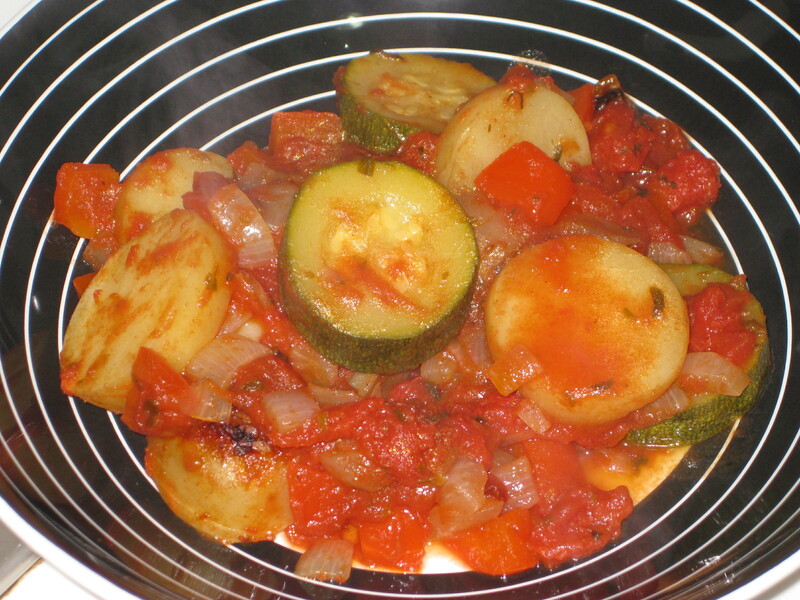 This entry was posted in Vegan Recipes and tagged courgette, potato, vegetarian casserole. Bookmark the permalink. 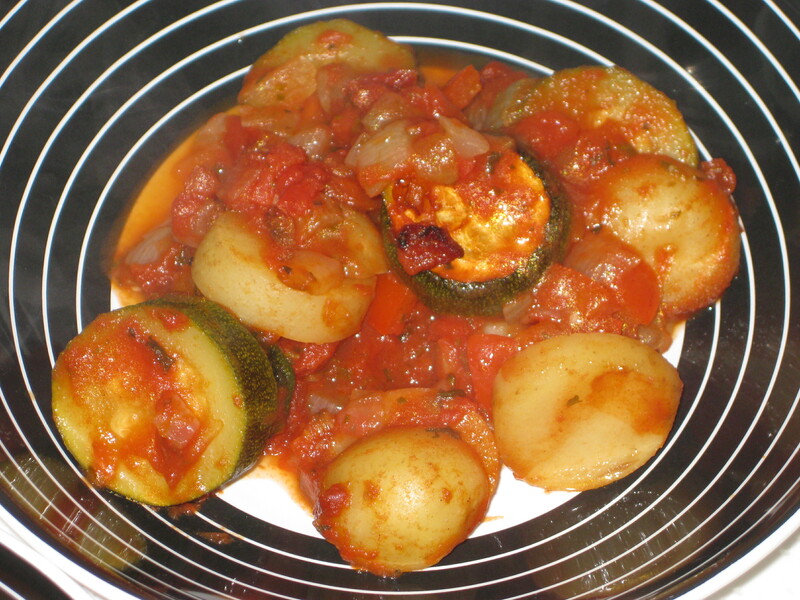 Ooo I would love to eat that for dinner…I’m in love with zucchinis, plus paired with tomatoes and potatoes just sounds wow!! It’s perfect when you’re in the mood for veg! I think the original recipe was meant to serve 4, but we wolfed it down between two of us in one sitting. Ooops!